There is no shortage of amazing food in Asia. Every country holds something truly spectacular that you’ll be searching for the second you arrive back home. While it’s impossible to list every dish we find amazing, we’ve narrowed our favorites down to a list of Here, we list 10 of our favorite Asian foods, with some tips on where to find them. ‘Japan’s kitchen’ is famous for two dishes and takoyaki is one of them (okonomiyaki is the other). What could simply be described as ‘battered octopus balls’ is in reality a gooey, crunchy, umami culinary experience that can be enjoyed for around USD 3-5. While takoyaki exist across the country, if not the world, Osaka takoyaki are differentiated by their soft, creamy centers. The best takoyaki vendors focus on creating a flavorful soup broth as a base, with fresh octopus for the inside and a crisp outer coating. Most takoyaki will come with your choice of sauce and topping – usually mayonnaise, scallions and pickled ginger. Stroll down Dotonbori in the heart of the city and get your takoyaki from the street vendor of your choice. 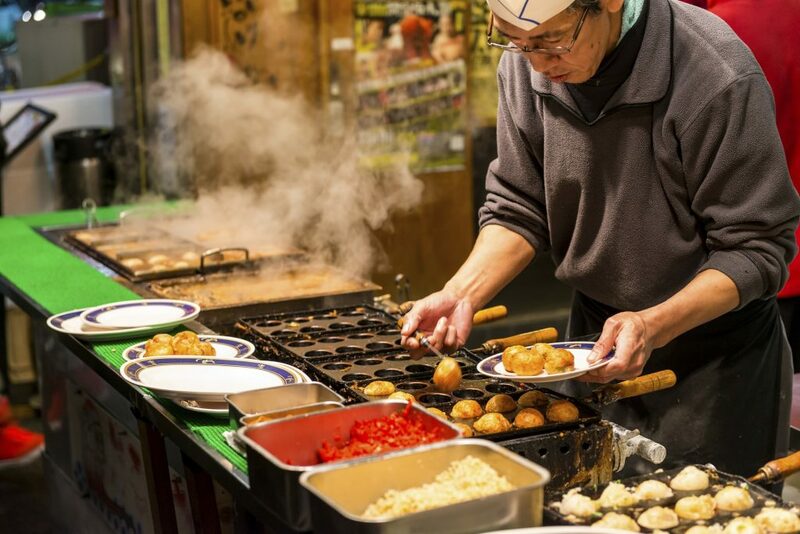 Or join a foodie tour for a direct line to Osaka’s best takoyaki makers. The benchmark for good dining has risen exponentially in Bangkok over the last decade. The city is now featured on the Michelin Guide, with a wide array of international cuisines represented, from molecular Indian to traditional Thai. Bo.Lan, Namh, Paste, Le Du and Chim by Siam Wisdom are just a selection of single-starred venues, and there are at least 40 options for street food. However, for a classic Bangkok street dining treat, we like to explore the city’s Chinese heritage in Yaowarat Road and dive into a crispy hoi tord (fried oysters) from Nai Mong Hoi Tord, a five-minute walk from Yaowarat. To fully appreciate Bangkok for the foodie heaven it is, of course, there are always culinary tours you can sign up for. Every country in the world worth visiting, Antarctica excepted, has at least one amazing grilled-meat dish. In China, it’s chuan, which means ‘kebab’ and entails a few chunks of seasoned meat – traditionally lamb – barbecued on a stick. The seasoning is a cumin/chili blend, giving it a little punch in every bite. The dish has origins in Islamic-Chinese communities, so is understandably rife in Xi’an, where you can find it anywhere across the city. For a truly authentic local experience, save this treat for your second-dinner (say 8-9pm), order at least 20 sticks (portions are small!) and enjoy streetside while you watch the world go by. A stick will set you back around 2 RMB (USD 0.30). 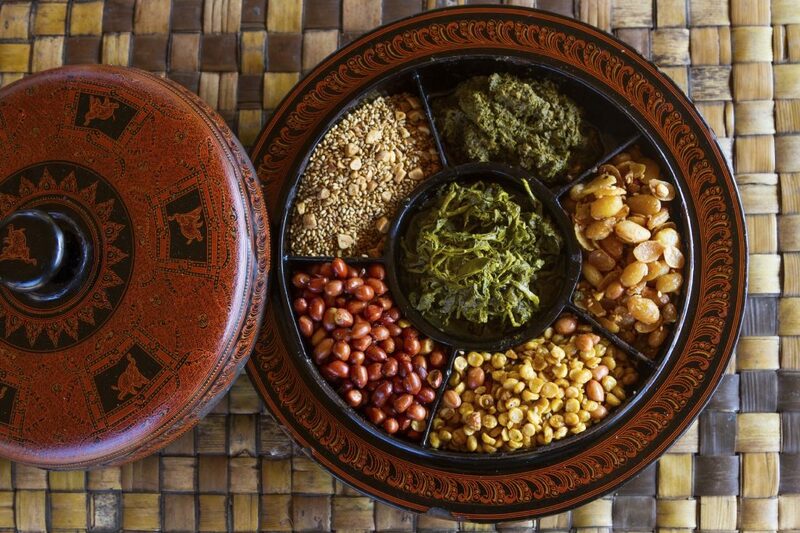 Health-conscious travelers touring the picturesque eastern region of Shan state will delight in the bitter-crunchy-salty salad experience that is a plate of lahpet thoke, or fermented tea-leaf salad. While this dish is popular across Myanmar, Shan state is the original tea-growing region, so it stands to reason that its lahpet – fermented tea leaves – will be premium grade. Aside from pickled tea, lahpet thoke contains tomato, cabbage, fried peas, peanuts and sesame seeds and is flavored with ginger and garlic, alongside a ‘dressing’ of peanut oil, fish sauce and lime juice. If you like it, you can even buy pickled tea leaves in a sealed packet for preparing back home. Not to be confused with the Thai noodle curry from Chiang Mai, khao soi Lao is a noodle soup dish with its own dedicated fan club. While the dish will differ slightly depending on what part of Laos you’re in, its basics are egg noodles and pork soup broth with a scoop of tua nao – a meat and fermented soybean paste with oil and chili. Add to that fatty pork slices, fresh tomato and a basket of greenery – scallions, cilantro, mint, lettuce, beans, basil and you have a hearty morning meal to get you through to lunch. Head to your local Luang Prabang market before 11am for a bowl, or join a Laos foodie tour and try all of the country’s best eats. It’s not widely known that some famous Thai dishes are actually derived from Laos cuisine. 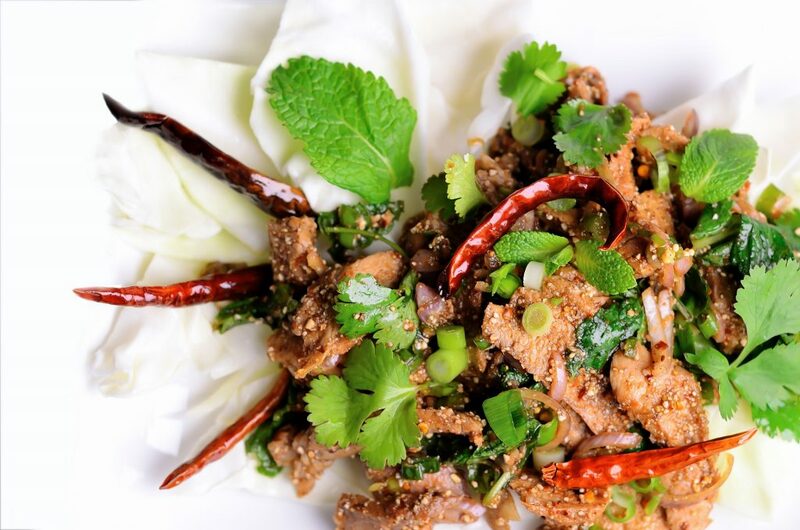 Classics such as som tum and laab originated with the ethnic Lao people, and nam tok mu – ‘waterfall pork’ similarly has Laos roots. While Laos-style nam tok mu is perfectly fine, its Isaan (Northeastern Thailand) counterpart propels the dish to culinary superstardom. In terms of amazing Asian foods, this dish leads the pack. Fried fatty pork neck (nam tok nuea is the same dish with beef), tossed with fish sauce, lime juice, onions and toasted rice for texture. Eat with sticky rice and use the rice to swipe up the last bits of nam tok sauce from the plate. 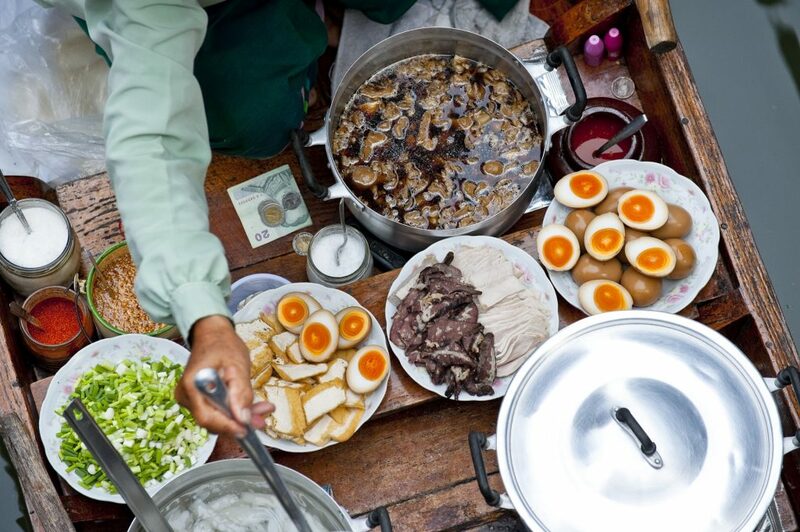 For a comprehensive – and potentially life-changing – exploration into Isaan cuisine, you can’t beat a foodie tour. Balinese dishes are distinct from Indonesian cuisine due the influence of Hinduism, i.e. you won’t find much beef. Rather, two of Bali’s most amazing dishes feature pork and duck. Bebek betutu is a barbecued duck dish (ayam betutu is the chicken version), where betutu is the spice rub of 15 or so ingredients that makes this dish such a stand-out. The duck is wrapped in banana leaf or coconut bark and cooked for up to eight hours. This whole time-consuming process use to mean the dish was only prepared for ceremonial events, but thanks to demand from travelers, it has become one of the island’s signature meals, available practically everywhere. You’ve probably already had bánh mì, since this amazing Asian food has made its way around the world – which is all the more reason to try it on its home turf. The sheer breadth and availability of bánh mì at its point of origin makes it a must-eat in Saigon, never mind that Bourdain prefered it in Hoi An. 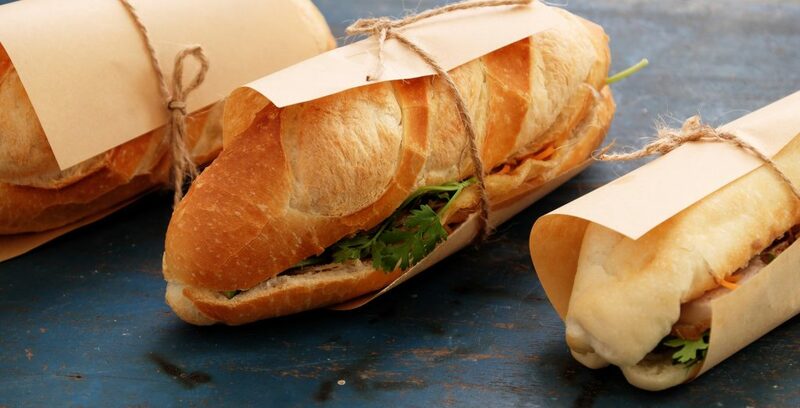 The baguette should be airy and flaky, stuffed with fresh cilantro, daikon, carrot and a selection of meats: chả lụa (pork sausage), shredded pork, pate etc. While you can get bánh mì literally on every street corner in the city, one of Saigon’s most popular bánh mì shops is right near Bitexco Tower by the river, offering a deli’s worth of cold cuts with which to customize your order. Should you have more expensive tastes, head to Anan, where a hundred-dollar bánh mì with pork chop, truffle mayo, foie gras and pâté comes with a glass of Prosecco. Kep is a little seaside town in Southern Cambodia on the Gulf of Thailand, famous for its crab. In fact, there is a gigantic crab statue there welcoming people to Kep. Nearby, the province of Kampot is famous for its black pepper cultivar. The combination of the two is legendary. If you’re in Kampot town, there’s a ‘Crab Shuttle’ boat that departs every day for the two-hour cruise down the coastline to Kep, leaving you at the crab market to do four hours’ worth of eating, and maybe even taking a dip off Kep’s white-sand shores. 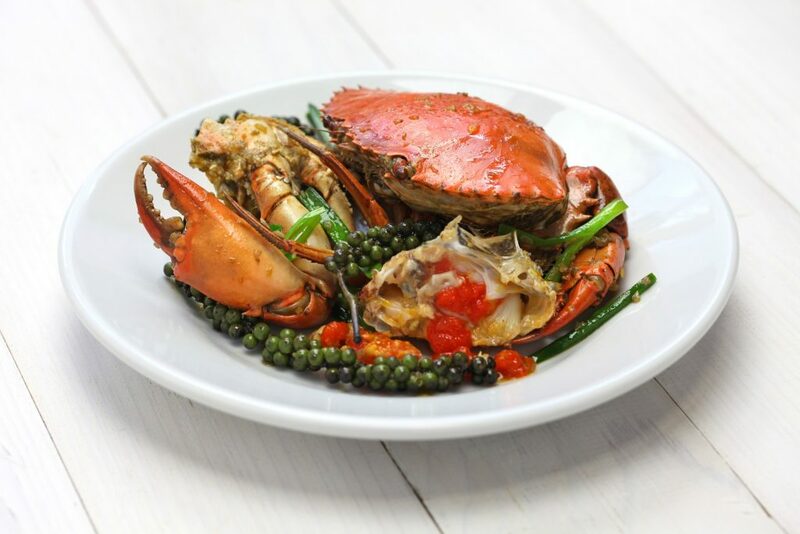 Haggle for live crabs at the market, have them cooked up with your choice of sauce (or none at all) and enjoy! If that sounds intimidating, join a Kampot and Kep foodie tour and let someone else do the hard work. Heading up the Most Amazing Desserts in Asia category is the Sarawak Layer Cake, a sublimely pretty and delicate treat. An evolution of spekkoek from Indonesia, the Malay version incorporates super-thin layers of unleavened cake painstakingly arranged to create eye-catching patterns. Kuching, as the capital of Sarawak, is naturally an excellent place to find the best kek lapis Sarawak. Take a stroll along Kuching waterfront for your pick of bakeries, Mira Cake House the most famous of them all.